Beyond the settlement of Garam Pani, there is no trace of the Almora Highway. Ten days after the cloudburst at Almora and the devastation caused by Kosi, people are still shaken and relief is too little and often reaching too late. Even as Jammu and Kashmir separatists and opposition parties spent the day either criticising or analysing the Centre�s eight-point peace initiative, some signs of normalcy returning to the strife-torn state were visible here today. American �Bell Helicopter� and Italian � Agusta Westland� have withdrawn their bids for the 197 Advance Light Helicopters (ALH) being acquired for the Army for search and rescue operations. The $600 million deal, they have complained, is being processed in favour of the French-German combine �Eurocopter�. 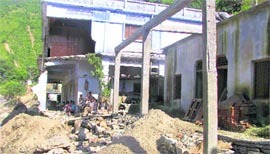 After Leh, it�s the turn of a village in Jammu & Kashmir�s Ramban district to face nature�s wrath. Though there are no casualties this time, the fear factor is almost similar. The entire hillock on which the village � Batpora, 200 km from Jammu � stands has started sliding, causing extensive damage to all 41 houses, forcing the panic-stricken residents to move out. 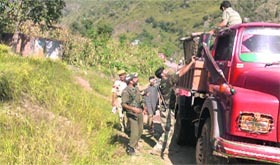 Security forces help villagers to shift their luggage. Faced with the perpetual problem of bird activity around airbases, which poses a serious hazard to flight safety, the IAF is introducing several new measures to check the menace. Prominent among them are installing special tweeters, which have been specially designed to cater to the ornithology pattern of a particular geographical area. The Maoists have thrown their weight behind the Kashmiris� struggle for independence and said their fight for self-determination was completely justified. �We firmly believe that Kashmiri movement for liberation and their right to self-determination is completely justified and that neither India nor Pakistan has any right over them,� the CPI (Maoist) said in a statement. In order to assess the ability of students, the CBSE will introduce a psychological aptitude test for class X on the lines of similar exams held in other parts of the world. 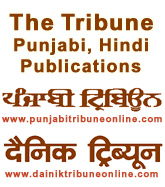 CBSE will hold this exam under Students Global Aptitude Index (SGAI). CBSE's SGAI incharge Rama Sharma said, "The exam will be held for class X and the first paper might be on January 15, 2011.